Maggie Loyd started her Caterpillar journey 44 years ago and says she has enjoyed seeing the manufacturing industry evolve over time – and Caterpillar along with it. Maggie Loyd’s Caterpillar story began in 1974 when she moved to Peoria, IL in search of a job. She says that at the time, Caterpillar was hiring and there was a great demand for workers. “The world had evolved around embracing women [in the workplace], so getting a job at Caterpillar worked out well for me,” said Loyd. Today, she’s with the same company that has helped her reach her goals as a Line Inspector. 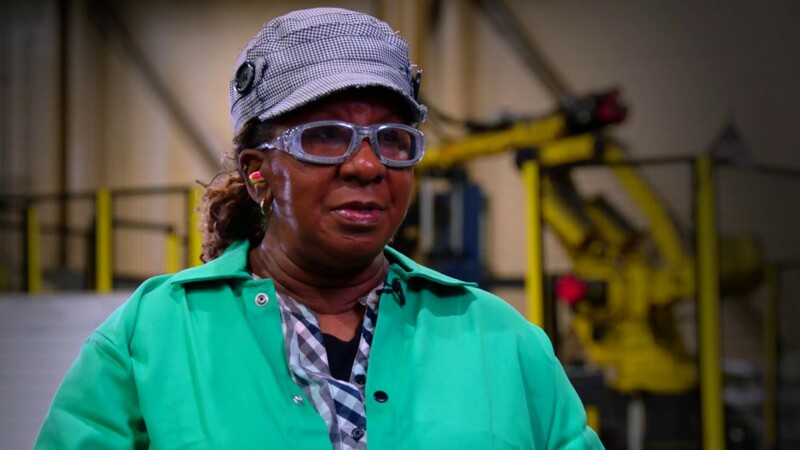 Loyd says she’s enjoyed working in the world of manufacturing because it provides the opportunity to see products being built from beginning to end. Caterpillar is accountable to the communities where we live and work, and we work to make real change possible in economic, environmental and social issues worldwide. Are you interested in starting your career? Search and apply now!